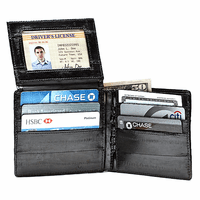 Both practical and entertaining, the Leather Magic Wallet will keep your money organized and secure...and you can amaze your friends! It's top-grain leather, stitched on all sides, and is dark brown on the outside with rust interior. 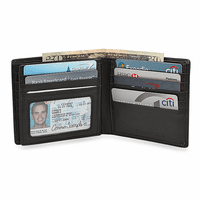 A magic wallet works by placing your bills inside, closing the wallet, and re-opening to find that your cash is securely strapped in place! 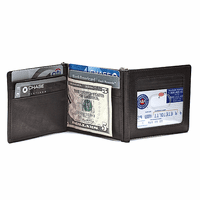 This wallet features an ID window and steel money clip on the outside, and comes packaged in a gift box. 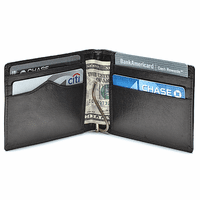 Add custom personalization to the money clip for free! 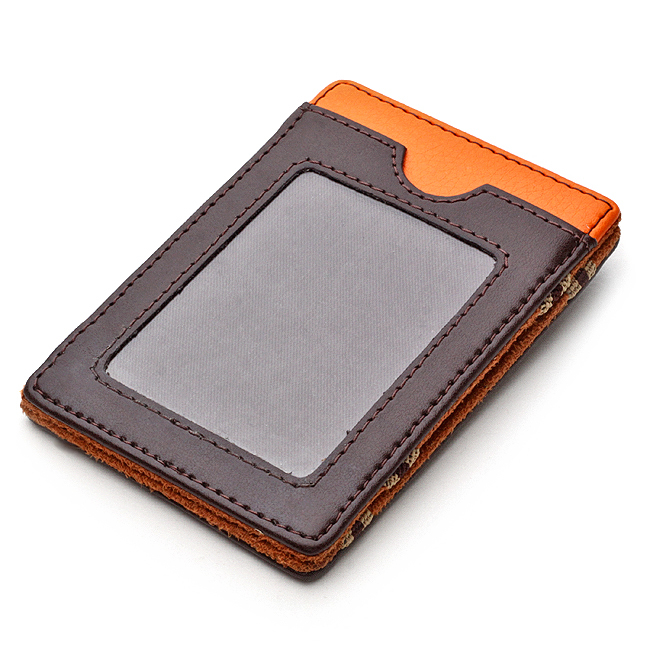 Dimensions: 4 1/4" x 2 3/4" x 1/2"
How many credit cards will this case hold ? It would be able to hold 4 to 5 credit cards. I'd like to have initials embossed- is this something that can be done? How is your engraving done? May I see what it would look like? thanks! We don't emboss this particular item, we engrave on the metal area. I'm sorry, but we don't have a sample of what it looks like right now. Nice wallet. Well made. Looks to be very sturdy. Quick delivery. Woukd buy from again. Item arrived within 5 days of purchasing and included monogram mind. Decent quality and very reasonably priced. This wallet was a really good gift. I got this for my dad, and he loved it. I purchased this wallet for my son. It is perfect. 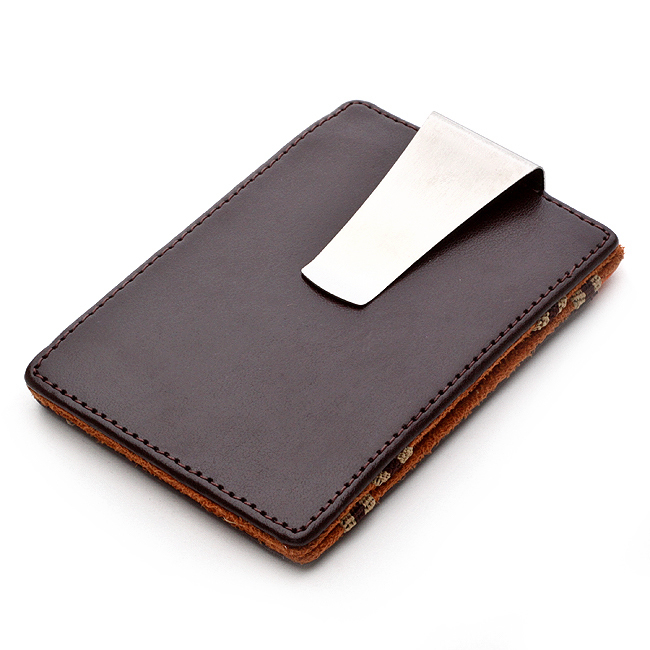 The money clip adds the touch I am sure he will love. I highly recommend this site and this product. ProsGood quality. Unusual. Speedy delivery. I love magic wallets, this one is cool because it has the money clip too. The straps across were too wide, causing my credit cards to fall out in my pocket. Not happy with it. It is also too big and too wide. Even with no leather on the clip it has a great thin design that I love.